Lake County has long been a favorite destination of anglers with more than 1,000 lakes and rivers and nearly four dozen places to launch a boat. If you are looking for a waterfront home in Lake County, call us! Visit http://www.lakecountyfl.gov/hometown_highlights/fishing_in_lake_county.aspx for more info about fishing in Lake County FL. Total acreage of the Harris Chain of Lakes is approximately 76,000 acres. The Harris Chain is seen as very fertile lakes, covered underwater with Kissimmee grass, eel grass, lily pads, reeds and bulrushes. There are two patterns of fish in the chain of lakes: main lake fish and canal fish. Crappie, bass and striper are probably the three most active and popular fish this season. By January and into February bass are spawning or have spawned, depending on the temperature, depth and clarity of water. Big bass start moving to shallow water for spawning. April is best fishing month of the year due to the increase in fish numbers. May, June and July are slow months for fishing because of more heat and sun exposure. You should fish early and late in the day to avoid the elements. 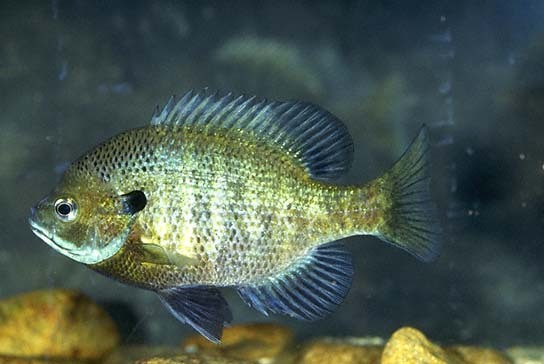 Fish follow the rising water levels and will cool themselves under boat docks or in deep grass. Just before dusk is a good time to catch decent-size fish. 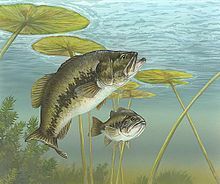 Bass begin moving to shallow waters to eat and prepare for spawning season. There are not a lot of people on the lakes as snowbirds and tourists won't be arriving until after Thanksgiving. Big and Little Lake Harris - Stretches over 15,500 acres with an average depth greater than Lake Okeechobee and deeper holes and ledges. Average depth is two to five feet with hard, sandy lake bottoms and shallow, muddy marshes. The best spots to fish in these lakes is in the Dead River and the Ninth Street Canals. Visit the deep ditch along Big Lake Harris' south shore near the town of Yalaha, where a past lay mining operation created a shelly haven for large bass. Lake Griffin - Lake Griffin is the last of the Harris chain and takes water from Haynes Creek to the Ocklawaha River, where it heads north through the Ocala National Forest and out to the Atlantic Ocean. 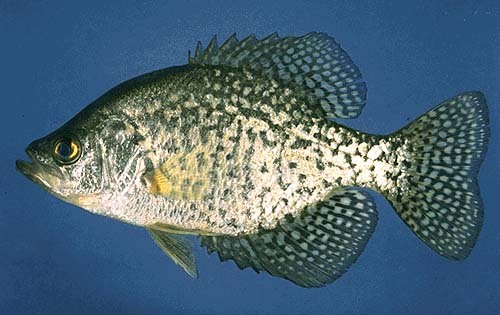 Overuse of herbicides in the prior to the 1980's caused the offshore cover of the lake to disintegrate. Area droughts allowed new weeds to grow into the shore and restoration actions such as run-off control havae helped improve the lake. A 2007 relocation of bass from lakes around the Orlando International Airport (due to bird congestion) allowed bass to make a return to Lake Griffin. Current dredging of the lake's canals has also freed up space as well as created navigation entrances to two of the restored marshes in the lake. Some tournaments have taken place within these new marsh entrances. The return of Kissimmee grass, eel grass and hydrilla has also encouraged more bass growth in Lake Griffin as well. Lake Eustis - Stretches out 7,806 acres and is linked to Big Lake Hrris through the mile-long Dead River and Lake Griffin through Haynes Creek. The many residential canals are perfect grounds for consistent fishing during the season. Also home to the "Gator Hole", a deep sinkhole near the end of a natural canal that leads into the main lake. The East Lakes - Lake Dora, Lake Beauclair and Lake Carlton, a trio of lakes that cover 4,475 acres. Connects to Lake Eustis on the north with the Dora Canal and Lake Apopka-Beauclair Canal to the south. Recent droughts had gaming officials and resident fishermen planting reeds to replenish the lakes' shorelines. Lake Dora holds the biggest fish due to its Kissimmee grass and bulrush, which provide cover for bass. The boat docks on the north shore of the lake also offer prime mid-day fishing. Lake Beauclair connects to tiny Lake Carlton through a small inlet on the south shore. Both hold large bass. 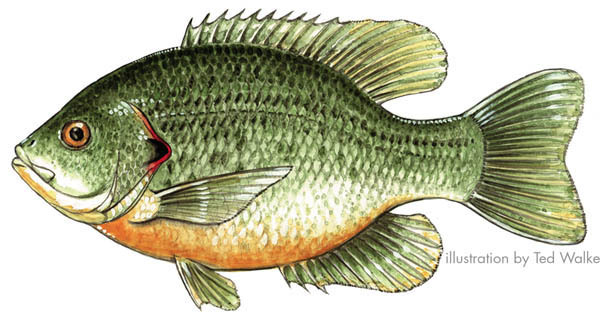 Bass swin year-round in Lake Beauclair Canal, especially in the "Clear Canal" where the lake's clear waters makes it easy to spot fish in season. Many tournaments are held in this area. Crankbait - Fishing lure type that goes into the water and wiggles from side to side as the fisherman pulls the lure through the water. Sometimes looks like a real fish. Flipping - Used for fishing in thick structure or weed beds. It is the method of fishing where the fisherman places the line neatly into the water and pulls the line, with the fish, out of the water in one quick move. Jig - Type of fishing lure that is made up of a lead sinker with a molded hood attached to it and covered in soft material to attract fish. Lure - An artificial item used to get the attention of fish in the water. Pitching - Tying lengths of fishing lines to the ends of cane poles and guiding the fish to a certain location. Sinker - Metal weight that sinks a hooked bait or lure. Spinnerbait - Type of fishing lure with a sinker and hook that moves through the water horizontally. Used to fish for crappie.